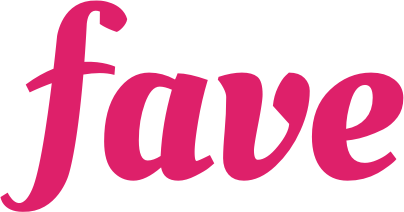 Fave is an online platform that facilitates planning and purchase of a variety of fitness, beauty and wellness, food and beverage offers at participating outlets (collectively referred to as “Offers” and the parties providing such Offers are referred to as “Partners”) in their city (“Service”). KFit / Fave is a technology company that provides the Platform and/or Service but not the Offers. The Service enables Fave users to purchase and join Offers provided by the Partners. It is up to the Partners to list their Offers to Fave users and it is up to Fave users to accept such Offers. The Platform and/or Service provided by Fave is to connect Fave users with such Partners, but it does not nor is it intended to provide any of the Offers or any act that can be construed in any way as an act of providing the Offers. By accessing, browsing, downloading and/or using the Platform and/or Service, you acknowledge that you agree to comply with and be bound by these Terms, as amended from time to time. If you disagree with any part of these Terms, you must immediately discontinue your access and/or use of the Platform and/or Service. We may revise or update these Terms at any time by posting a revised/an updated version on the Platform. Unless stated otherwise, any revision or update takes effect immediately. Your continued access and/or use of the Platform and/or Service after a revision or update to these Terms constitutes your binding acceptance of the revised or updated Terms. We may change or update the Platform and/or Service and any information on the Platform and/or Service at any time without notice to you or liability to us. We may also suspend, discontinue, or restrict access to, the Platform and/or Service temporarily or permanently at any time without notice to you or liability to us. Headings are inserted for convenience and shall not affect the interpretation of these Terms. I want to cancel my voucher. Can I get a refund?